I worked closely with Dave for more than two decades before he succeeded me as FleishmanHillard’s CEO in 2006 and it has given me great satisfaction to watch him develop into an outstanding agency executive and one of our industry’s truly great leaders. Dave totally transformed FleishmanHillard, keeping the firm in front of major trends such as the convergence of social and traditional media and the integration of communications across paid, earned, shared, and owned channels. In 2011, he was jury president for the PR Lions at the Cannes International Festival of Creativity, chairing a panel of 16 judges from 14 countries. In 2014, he was named PR Professional of the Year on the agency side by PRWeek. 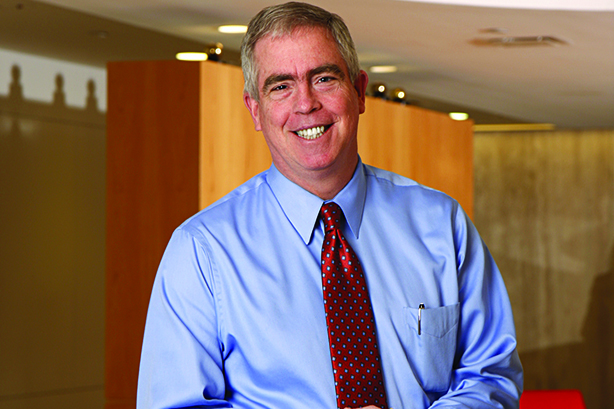 As he led the firm’s transformation, Dave maintained three longstanding elements that will ensure our growth for years to come: A strong focus on producing great work for clients; a well-honed culture of success; and a disciplined approach to ethical decision-making that has become a model for the entire industry.